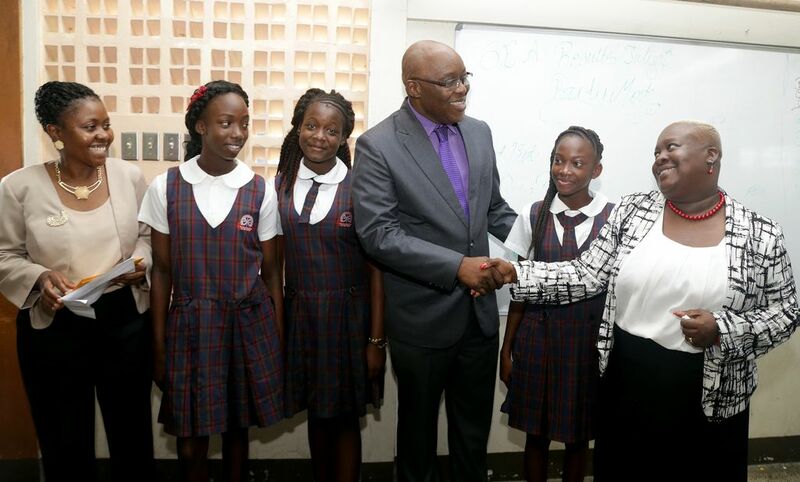 THA Chief Secretary Kelvin Charles congratulates St Andrew’s Anglican primary school principal Nicole Henry after four of her pupils placed among the top ten SEA pupils in Tobago. From left are Assistant Secretary Marisha Osmond, Aniela Morris who placed 9th overall, Sheneika Collette who placed fifth overall and Kareah Manning who placed third overall. 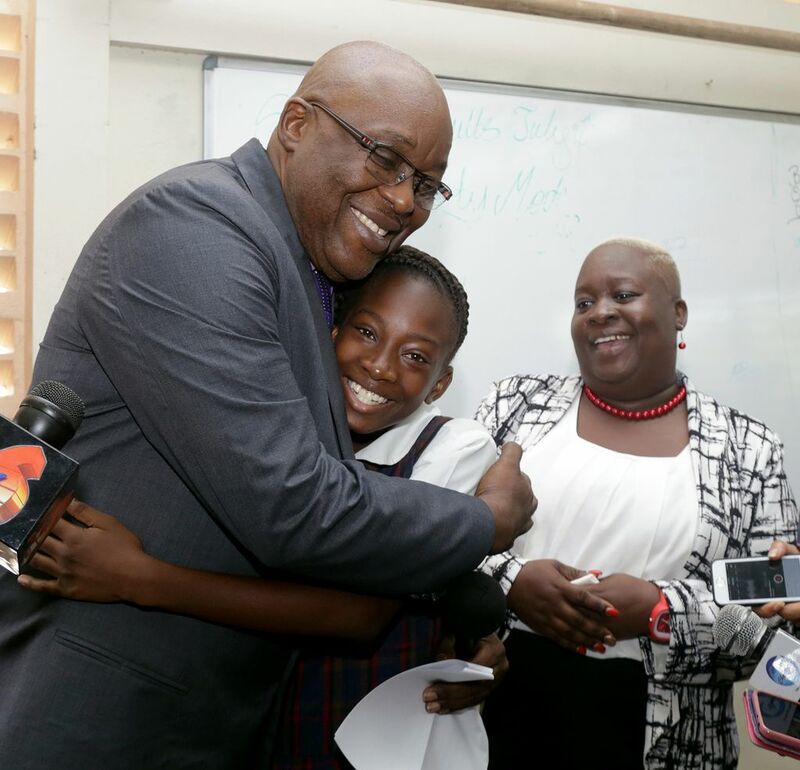 THA Chief Secretary Kelvin Charles embraces St Andrew’s Anglican primary school pupil Kareah Manning, who placed third overall among pupils writing the SEA in Tobago. Looking on at right is Principal Nicole Henry. 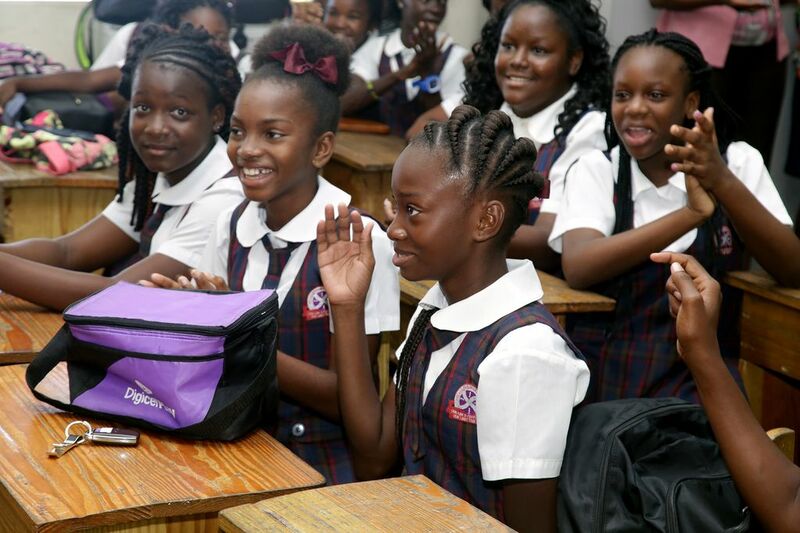 St Andrew’s Anglican primary school pupil Kareah Manning acknowledges her name after it was announced that she placed third overall among SEA pupils writing the exam in Tobago. St Andrews topped the Tobago Secondary Entrance Assessment (SEA). 911 students wrote the 2017 SEA in Tobago on May 4. This is an increase of 57 students over those who wrote in 2016. The Top 3 students in Tobago SEA 2016 are first place Shenice Stanislaus of St Andrews AC., second place Chelsea Low of St Nicholas Private, and third place Kareah Manning of St Andrews AC. Top Girl Shenice Stanislaus from St Andrews AC obtained a total score of 241.77 and was assigned to Bishop High School, Tobago. Top Boy Jordan Langley from Scarborough Methodist obtained a total score of 238.749 and will also attend Bishops High School.